The movement of your shoulders or the upper half of your body is quite important though-out the whole golf swing movement. Over the last number of months, I have been working with golfers that have focused way too much attention on their shoulder-turn during their back-swing. This was, as they described “a safe swing movement to think about” when they felt that they needed to slow down their swing. Also, other observations such as if the ball flight or the ball strike was not as good. Perhaps, this thought process can be fine in certain cases, and some golfers feel that this is a good movement to think about for a better swing rhythm. However, typically, the golfer that has moved too much and overextended his/her shoulder movement. Also, resulting in possibly a reverse pivot or too much tilt onto the forward foot. I describe this action as “too much shoulder-turn and overturn the upper half”. The resulting over-turn is the main reason for all sorts of miss-hit golf shots and bad swing faults. Such as; over-swinging and starting the down-swing with the upper half of the body were two principle swing faults that I observed. Over the top, cutting across the ball, big slices, duck hooks & etc. Now, this is not the case for everyone. Therefore, what I am suggesting to do, is not to try to limit your shoulder-turn and PLEASE STOP researching how to make a proper shoulder-turn from watching YouTube videos. Please visit your local PGA golf pro and work on it! I do not believe that there is one golf swing tip to help or fix a golfers shoulder-turn. Clearly, each golfer’s swing is different in so many ways. My experiences would suggest that what works well for one golfer may not work well for the next golfer. Certainly, golfers need to work with a golf swing expert who understands how the body kinetically moves through-out the swing. Also, that he/she can communicate to you what you need to do and how to do it. Therefore, I am suggesting visiting a golf swing expert for golf lessons and identify how you play golf to find the real scoring issues. Do you believe that you have a shoulder-turn problem during your back-swing? Maybe, you feel that you are not turning your shoulders properly or do you know how you can turn your shoulders? Do you think you miss-hitting the ball because of your poor shoulder-turn? Too much focus on your shoulder turn is a disaster! Please contact me if you would like any further assistance. 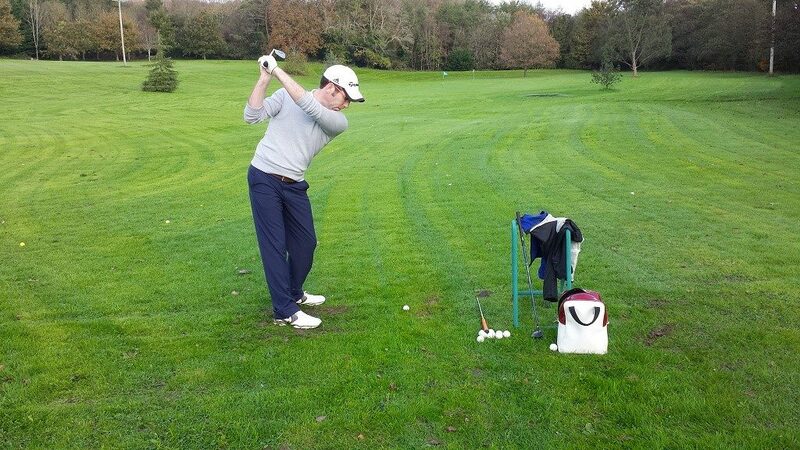 Don’t delay and get working on your solution… Golf Swing Shoulder Turn.